Over the course of 2017, the California Public Interest Research Group (CALPIRG), a student-led activist group that addresses issues such as “environmental (and) consumer protection, and hunger and homelessness,” worked to garner support towards Senate Bill 100 (SB 100). If passed the following September, SB 100 would “require California to obtain 100% of its power from clean sources by 2045,” making California the second state after Hawaii to work towards complete reliance on renewable energy. 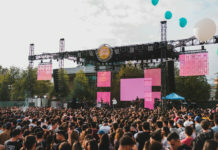 A press release by CALPIRG states that the chapters at its eight associated UCs “collected 20,000 (student) petitions and generated calls phone calls (sic) in support of SB 100, signed on 200 student organizations and leaders in support, held educational events like solar-powered concerts to build a buzz on campus, and brought over 100 students to Sacramento several times to lobby elected officials.” California Gov. Jerry Brown signed the bill into effect on Sept. 10, and was thanked by CALPIRG on the organization’s website. On Thursday, Oct. 18, UCR’s CALPIRG chapter tabled at the Bell Tower to celebrate their victory in lobbying for clean energy. The event began at 11:19 a.m. with Miguel Ramirez, a third-year anthropology major and vice chair of UCR’s CALPIRG chapter, speaking about the origins of CALPIRG. 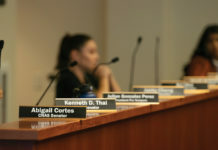 Ramirez called it the “largest and oldest student-run and student-funded organization” in the state since 1972, and highlighted the organization’s aims of creating a better future by getting involved in local, state and national politics and allowing students to “make a difference” before graduation. Samuel Harrison, a third-year psychology major and the chapter’s vice chair, thanked the UCs for the 20,000 student petitions signed towards clean energy, alongside the other leadership groups listed in CALPIRG’s press release. He also outlined some of the goals that SB 100 sets up for California, such as the reduction of fossil fuels. On Sept. 4, the UC system committed itself to use only renewable electricity sources by 2025, and Harrison addressed the commitment alongside SB 100, segueing from the former to the latter by pledging that “CALPIRG at UCR will continue to run (its) renewable energy campaign to make UCR the first campus to commit to 100% clean energy by 2050,” in part by working with the office of the chancellor and UCR students. He also stated that CALPIRG’s “partners at the Environment America Research and Policy Center (EARPC)” released “Renewables on the Rise” on Oct. 16, a collection of eleven fact-sheets to be used in reference “for students, faculty and administrators interested in moving their campuses towards 100 percent clean renewable energy,” according to his speech. Guest speaker Fortino Morales, sustainability officer at UCR, attributed the success of lobbying to the “energy of students” working towards cleaner energy and discussed the planned environmental “revampings” to be made in UCR, such as waste and water plants. The event ended as Professor Brian Siana, new associate director of sustainability, gave his thoughts about the progress towards renewable energy, calling it a “really big deal” for two reasons: the first is that SB 100 pushes California to “electrify transportation” to lower greenhouse gas emissions; the second is that because “the older generations reap the benefits of fossil fuels while the younger ones suffer the consequences,” the passing of SB 100 is a milestone in recognizing the voice students have in choosing their future. 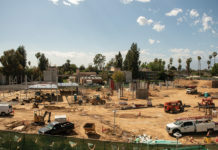 Vice Chancellor of Planning and Budget Gerry Bomotti explained that “(UCR has) met recently with CALPIRG reps and have talked about the UC carbon neutrality, and now electric renewable, goals,” Bomotti wrote. He noted that the campus currently has “about 8MW” of solar power and that they are “looking at additional rooftop solar in the near future.” Bomotti added that UCR is working with the university’s electricity supplier Riverside Public Utilities (RPU) in establishing renewable energy, and that, “between RPU and the campus solar,” about 51 percent of campus electricity is from non-carbon sources. CALPIRG meets every Tuesday at 7 p.m.